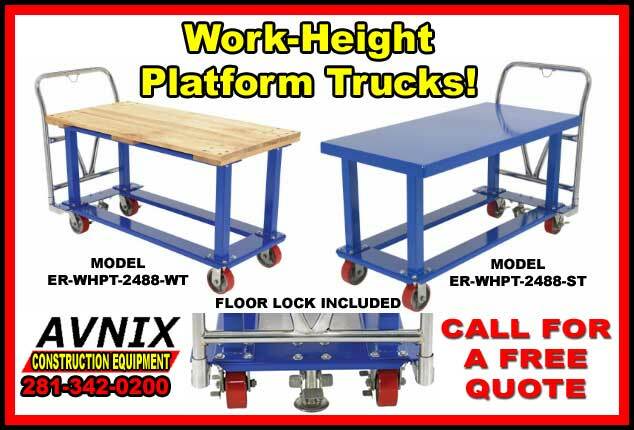 Shopping For Work Height Platform Trucks? How To Find The Best Deal! A Work Height Platform Truck Is A Great Benefit In A Number Of Industrial Settings. A sturdy platform built of either steel or wood makes moving heavy awkward items a snap. Our platform truck rolls efficiently between work areas and has a platform deck height that promotes ergonomically friendly posture when loading and unloading objects. Platform Carts Reduce Time Consuming Manual Effort. Lifting and loading parcels and appliances in warehouses or office is a time consuming job which also includes a lot of manual labor. 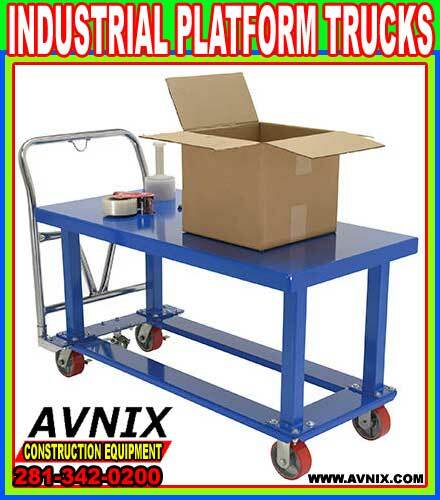 Platform trucks can get rid of this tiresome work and facilitate easy material handling. With the fast loading and unloading capability of these material handling platform trucks, you will spend less time and energy in lifting and moving loads. Platform Trucks Come In A Variety Of Makes And Models. Platform-trucks can carry loads of all sizes. They are usually made of steel or wood. Our platform carts come with scratch and rust resistance features designed for hard-wearing performance. Call One Of Our Experts To Help You Find Right Model To Fit Your Needs. If you are looking for suitable platform-trucks to cater to your material-handling needs in your office space, you should go for the ones with higher quality but reasonable pricing. 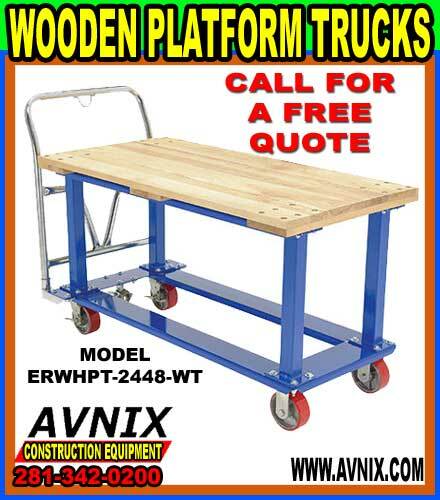 Avnix Equipment Sales offers material handling products at the best prices in the market. Avnix offers a wide range of products varying in features, specifications and pricings, from where you can choose the best suited models for your warehouses or office space.